First Impression: It’s not polite to point, Bob. Second Impression: Is everyone on this cover body-shaming me? 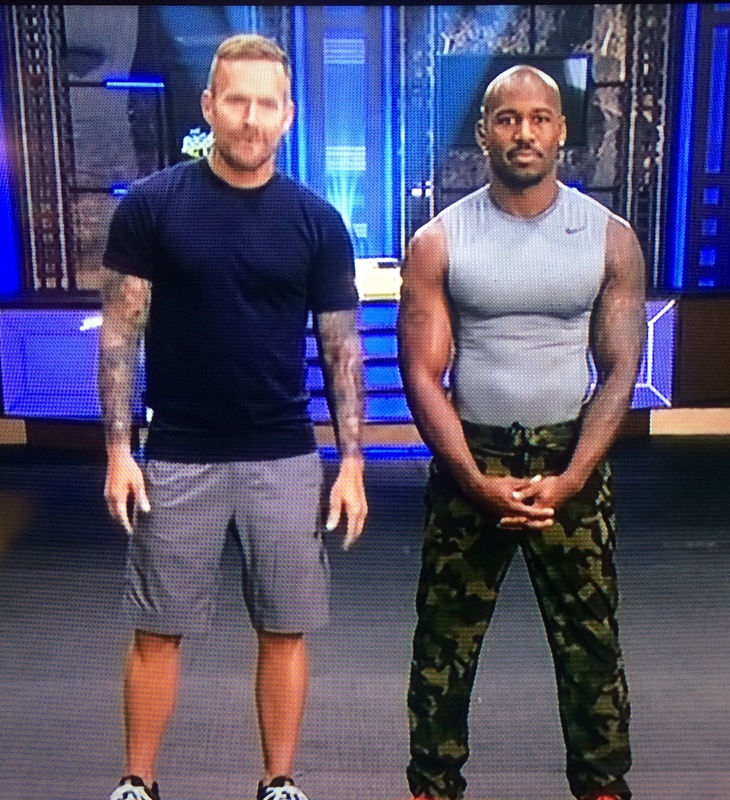 Dolvett is sporting his usual Aspirational Abs wrapped in the thinnest and clingiest of tank tops. He flashes his dazzling white smile that was handcrafted in Beverly Hills. Bob is allowing his beard to grow in to disguise the fact that he’s really going for a mustache. And the side part is not working for me, sorry, Bob. This DVD has a grandparent-proof menu where you have to individually select the Warmup, Levels 1, 2, and 3, and the Cooldown, all in order. 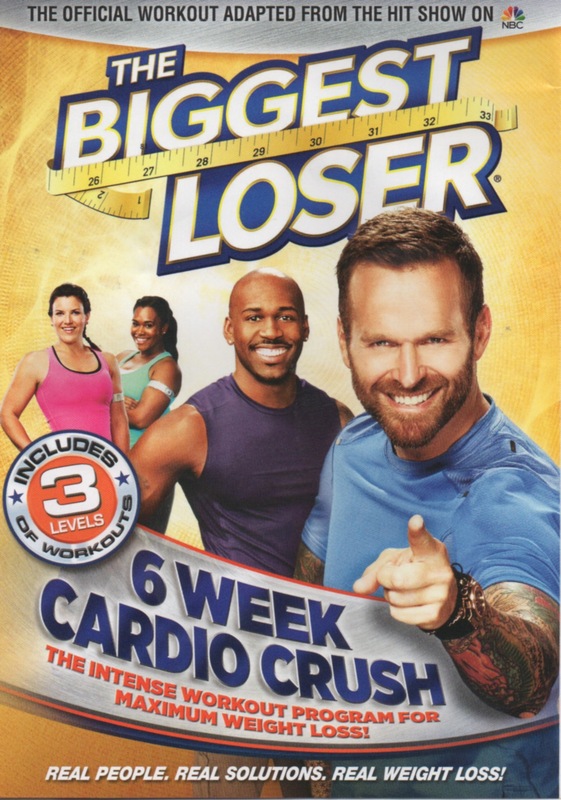 The good people at Biggest Loser never include a “play all” function, and I’m not sure what kind of little game they are playing with me. Level One, led by Bob, is all about Burpees. Real talk, faithful readers. I hate Burpees. I hate doing them, and I hate what they are called. They sound gross. When I was in high school, and the track coach made us do them, they were called Squat-Thrusts, and I can’t decide which name I find more unappealing. I move on to Level Two with Dolvett, aka “Mr. Shouty Pants,” at the helm. This time, it appears he’s left his shouty pants at home, and instead put on his Encouraging Chinos. “Go at your own pace, it’s okay if you can’t keep up at first,” he says to camera, adding, “As long as you keep moving, I’m smiling,” and proves it by showing us every one of his perfect teeth.